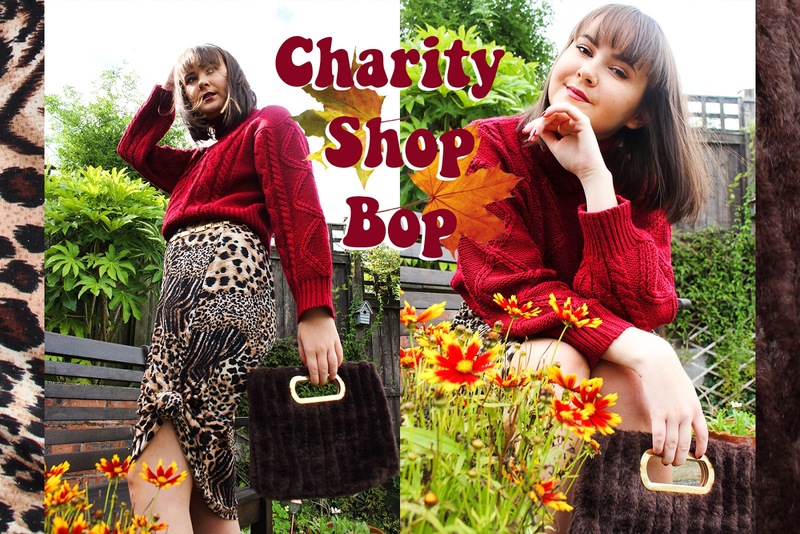 Charity Shop Bop is a series on my blog that promotes a different sense of fashion. The fashion industry is a huge financial provider, yet is also creating so much waste that it's effecting our planet. Every year we create over 80 billion articles of clothing which is a ridiculous amount to even fathom. With 95% of it being recyclable and 100% being reusable, why let it become waste? My Charity Shop Bops are here to show the limitless horizons of reworking second hand clothing and that it isn't all 'old lady' stuff! Shopping from charity shops is more sustainable, a lot cheaper and also allows you to contribute to a variety of charities at the same time! To cut the story short, I found one! Not online, not in store but sat every so contently in my favourite £1 Charity Shop as if it had been waiting patiently for me to come and find it. I'll stop trying to sound like some fantasy novel but really, it felt like a dream came true! 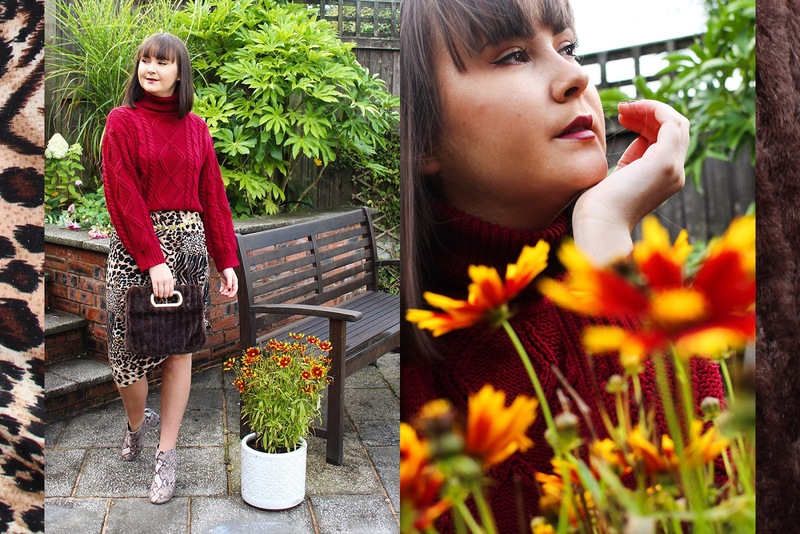 Over the last few weeks I'd spotted some of my favourite bloggers wearing leopard print midi skirts and fell completely in love with how they'd styled them. Due to everyones obsession with leopard print lately, nearly every one I had found was sold out and I took that as a sign. Sometimes the universe doesn't want things to happen because it knows that better things will come and so it did! I found this pretty little leopard print midi skirt in the holy grail of charity shops (the £1 Scope shop in Rochdale) and knew it was meant for me. The skirt itself is quite wide but I simply knotted up the side and it created a much more flattering silhouette, you've always got to be thinking outside the box! As it's been feeling like it is truly autumn, I paired it with a new, cozy chunky knit I got over the weekend. Buying knitted jumpers in Charity Shops is a complete must, they're the perfect transitional piece and are always so well made if you find the right ones. I paid £4 for this beauty as I completely fell in love with the berry colour of this knit and couldn't leave it behind! Anything red or pink seems to be catching my eye at the minute, but lets be honest, when doesn't it? To add something extra to this look I opted for one of my favourite accessories at the minute, a belt. Recently I've been finding the most stunning vintage belts in Charity Shops and they are ridiculously cheap, I've never paid more than a few pounds for one which is incredible when you look at the prices some brands are charging for something very similar. I picked up this gold belt a few weeks ago and adore it, it's the perfect way to add a lil bit more glamour to a casual look. To match with the gold tones, I wore my new favourite Charity Shop find which is this fluffy brown bag! I paid £5 for it which does mean it was slightly more pricey than usual but I think it was completely worth it. Faux fur is massive for A/W18 so finding key pieces like this means I can add subtle hints of it to any outfit! Keeping with the theme of animals prints, I decided to go for a clash of prints by pairing my beloved Snakeskin Asos boots which seem to work perfectly. Although they aren't a Charity shop find, I've had them years and completely adore them! 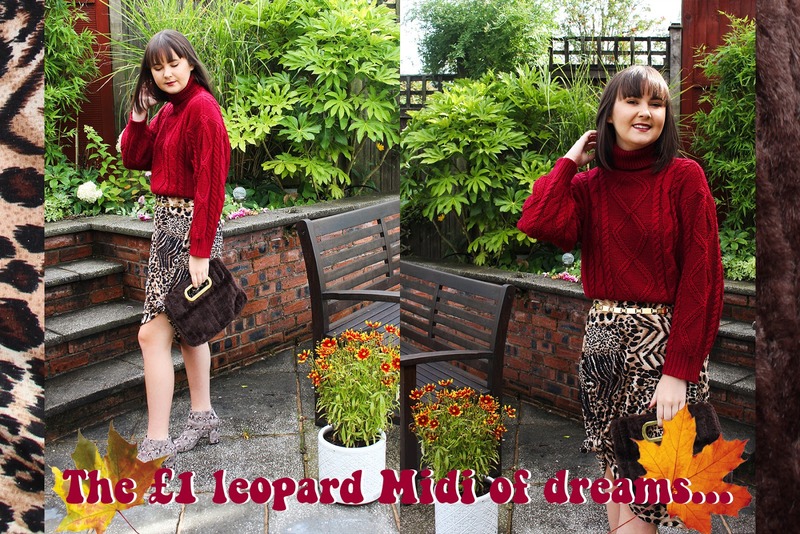 I hope you adore my leopard print midi skirts of dreams as much as I do, I'd love to know what piece of clothing would feel like a dream came true if you could find it in a Charity Shop? This Charity Shop Bop just proves how current the pieces you find in Charity Shops can be whilst still adding an essence of your own style. Bringing together second hand pieces gives them a new lease of life which is so much more exciting than the 'Jeans and a Nice top' Misguided feature. I hope I can open your eyes to the world of Charity Shopping and please tag me @lucysb_ on Instagram with #charityshopbop if you discover any pieces! I absolutely love browsing charity shops and I've got some amazing pieces from them over the years! This skirt is amazing! That leopard print skirt is gorgeous, as is the chunky knit. Charity shops are really the place to find absolute bargains and I couldn't recommend them enough!